Here's the first card from my card kit swap with Nonni and Pia. 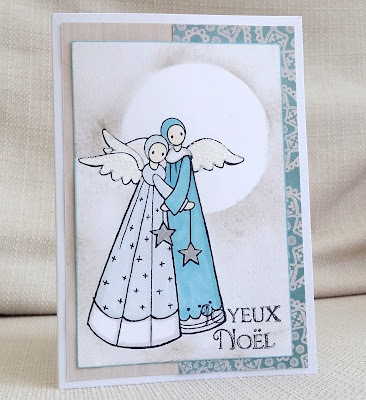 The items from the kit were the angels ( with a stamped post-it to mask them with) and the off-white woodgrain paper at the back. 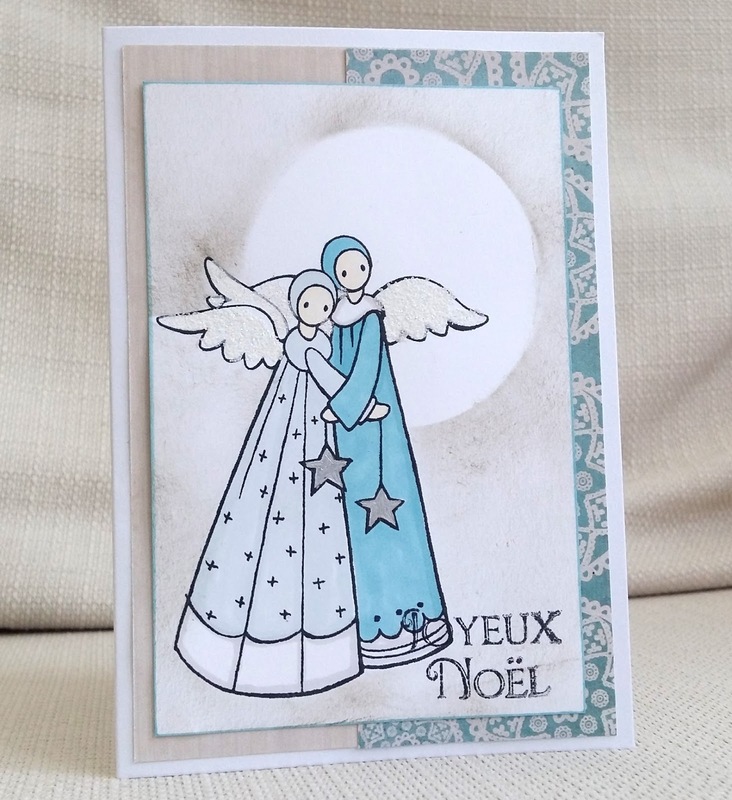 I made a moon with a circular mask and distress ink, coloured and glittered the angels and stamped the French sentiment. I really love this stamp of Nonni's - I also used it when I visited her in Finland - I must ask her which brand it is. I went with snow, you with a moon. None of us used the same colors or papers with this image. I'm going to try and find this stamp, with these cards and the ones previously made by the two of you I can see there are plenty of options with this cute image. You did a great job with this card.